The EU’s Data Protection Reform package, which contained the General Data Protection Regulation, also contained a Directive on the processing of personal data for authorities responsible for preventing, investigating, detecting and prosecuting crimes. 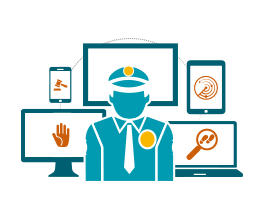 It ensures that police forces can efficiently do their work using technological means while preserving the fundamental rights of citizens. The Directive is designed to be consistent with the General Data Protection Regulation.